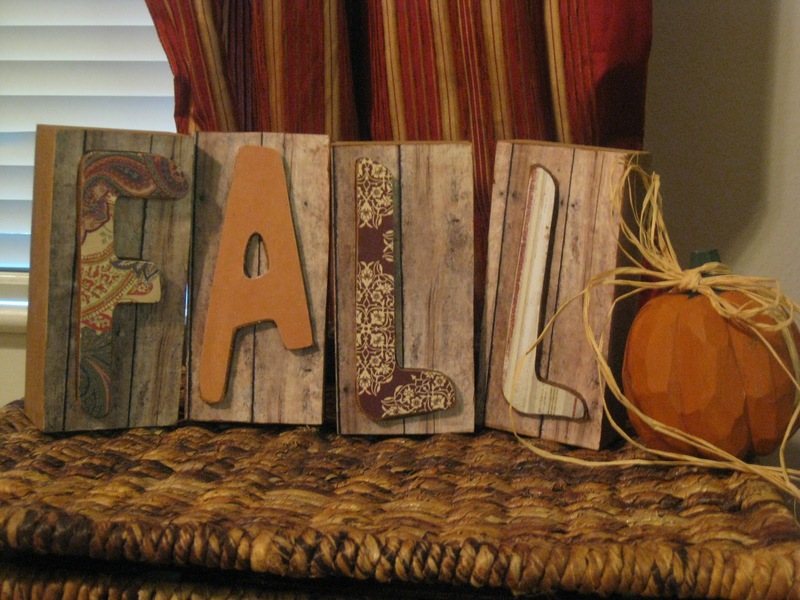 Feeling a little Crafty for FALL! I have been trying to decide for a while how to package my shoes! It just seems so much more exciting not only to send out, but to receive something you can tell took a little bit of extra time for those little details. 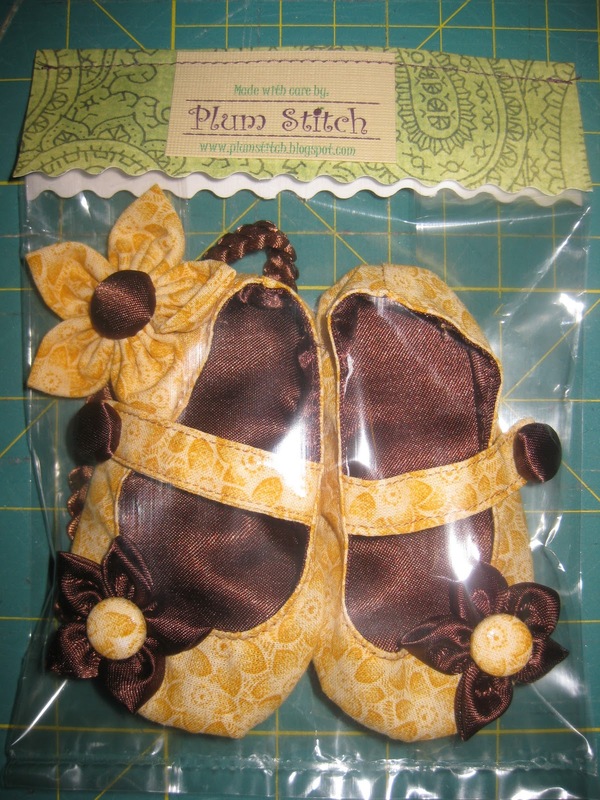 I am so excited with the way they turned out, and I am now more confident in sending shoes out like this, instead of just placed in an envelope! 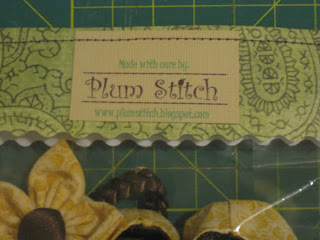 Every once in a while I get a little craft bug, to make something different, besides sewing! I found these plain wooden blocks (imagine with me I didn't take a before picture!) 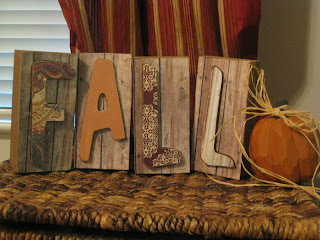 At Hobby lobby in the clearance section for 49 cents each, the letters were on them already! So with a little paper, some patience in cutting it out to fit over the letters I have these to show for it! I was quite proud! 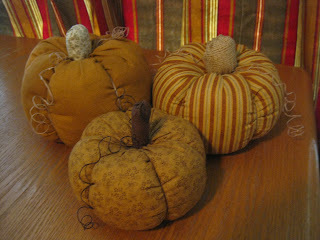 And yet another sewing project HERE is where I found the directions to make these little pumpkins! I saw the pictures on this web page, and I just knew I had to make them! It was nice, because I didn't have to go buy anything, everything for them I had already! Love those kinds of projects! *The only thing I did different is I took some string, dipped it in modge podge, then squeeze most of the modge podge off the string by running it through my fingers (just so it was damp) wrapped it around a colored pencil, and let it dry overnight! Then I had the curlies to add my own little touch! 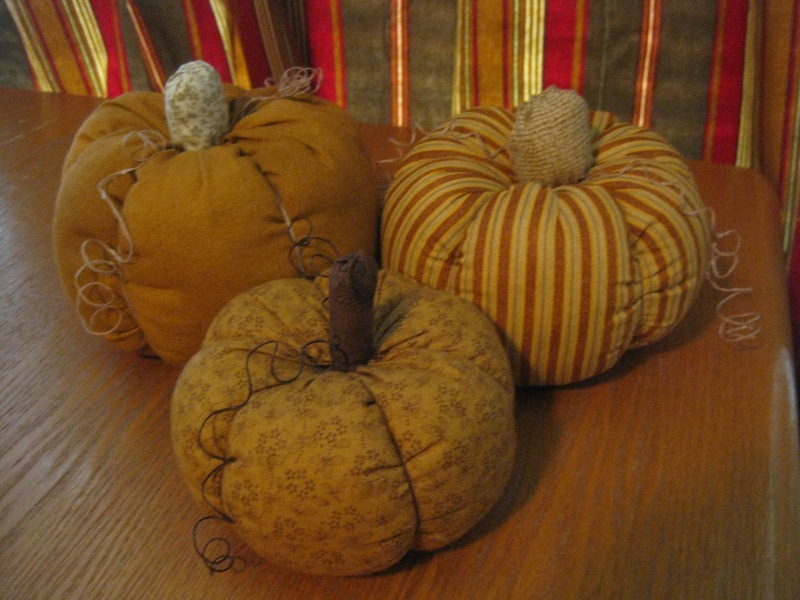 *Also if you make these, I would advise to getting the longest needle you possibly can to sew the string through the pumpkin, it would make it much faster! I gave both of the above projects away as gifts...maybe one day I will keep something for myself! Cant help it, I LOVE to give gifts! I plan on making some pumpkins for myself, maybe I will get them done before Thanksgiving, and they can be the perfect centerpiece to our Thanksgiving Table!